VING will always be a proud sponsor for Etheria Film Night. VING always supports women in film making for a needed perspective in story telling and being scary on purpose! Etheria is the world’s most respected showcase of new short sci-fi, fantasy, action, thriller, dark comedy, and horror films made by women. Go LADIES! EQUINOX & VING VODKA & WE ARE FLIGHT/ SYDNEY BENNER create the perfect evening with a dope workout at Equinox Sports Club LA then, fantastic clean VING cocktails post-workout jam!VING Jalepeñito Cocktail: lean, refreshing, citrus forward, with a touch of spice and everything nice! Bring it my feline film makers, out there making moves and bringing the world your much needed perspective and stories! VING proud sponsor of The COVEN Film Festival is a Charming Stranger Films, LLC production, devoted to short films by emerging women filmmakers from the San Francisco Bay Area and around the world. Does VING love Hockey? Puck yeah! VING was created for the Athlete who has to be fit for her/his A game. Was such a thrill meeting the best players in the world at the San Jose NHL ALL STAR weekend. Shout out to The Fourth Period Magazine for making it happen! VING loves local Los Angeles artist and a soulful night out, supporting A Flight of Voices in the most unique venues in Hollywood. They are a collective of independent solo artists and musicians that come together to create musical experiences in unique locations. Musically, every single show is different. VING stands beside our brothers and sisters for equality. The Queer Hustle event is for queer women who are entrepreneurs, hustlers, thinkers, creatives, humans who want to connect with other awesome humans and learn more about being fulfilled and successful in business and life as a queer person. With bow ties and flowing cocktail gowns VING sponsored the closing night of the Asian Film Festival at the Culver Hotel with the cast of Crazy Rich Asians cast. WEAWAFF is YOUR WINDOW TO ASIAN WORLD CINEMA. The Asian World Film Festival (AWFF) brings the best of a broad selection of Asian World cinema to Los Angeles in order to draw greater recognition to the region’s wealth of filmmakers, strengthening ties between the Asian and Hollywood film industries. Uniting through cross-cultural collaboration, our festival champions films from over 50 countries across Asia spanning from Turkey to Japan and Russia to India. Supporting the arts is an absolute must for VING. We sponsored and met acclaimed artisans, learn their inspirational stories and discover one-of-a-kind works of functional, wearable and decorative art. Shop for hand-crafted fine furnishings, jewelry, ceramics, blown glass, textiles and more! The Pasadena CA. Convention Center, Exhibit Hall. (In historic Old Pasadena). BULLETPROOF LABS takes a scientific approach to training your mind and body to promote a truly advanced way of living which is the exact manifesto of VING. Bulletproof uses the most cutting-edge, science-backed technologies available to help you achieve the highest state of physical AND cognitive performance. VING and Equinox is a perfect match for Saturday boxing, brunch and the ultimate clean VING cocktail! A social Equinox fitness event held at the gorgeous new Argyle apartment complex in Hollywood. Combining boxing with food is a fun way to get some exercise and then catch up with friends over a meal. Elevate Women's Retreat is the opportunity to sink into a personal refuge in the stunning hills of Ojai Valley, California. VING is at this 3-day retreat with practices that are profoundly relaxing and rejuvenating, and connect with wonderful, supportive, like-minded women in the spirit of self-care. Spiritually reconnect, align and walk away with practical tools which will help you feel more empowered and uplifted in your everyday life. Coming-of-age is never easy and indie film making is so important in order to break new ground and open discussions about challenging topics. VING proudly supports film makers who are out there expressing themselves and pushing the envelope! Triathletes from around the country, corporate teams, professional athletes, Hollywood celebrities, and challenged athletes gather to race on one of the most beautiful race courses in the sport of triathlon all while supporting Children’s Hospital Los Angeles.  Whether you are a novice triathlete or a seasoned veteran, a weekend warrior or a fan of one, join us for a beautiful day at the beach then at Vintage Grocers for your VING VODKA tasting! We are delighted to be at the best spot on the sunset strip serving Jaylee’s specially VING Vodka Cocktail. The Crestron Design Center provides everything needed to propose and specify the most requested Enterprise Room Solutions. VING admires beautiful architecture from around the globe and supports green living. Women and film is dear to VING’s hart as founder Flo Vinger is a seasoned film maker. Join Women In Media in New York City for #WIMNYC Networking, Nibbles, and VING. Get to know more about our organization and make connections with fellow film makers above and below the line. Please bring your colleagues in all departments, from camera to art to production – this is how we extend our networks and #HireTheseWomen in every department. VING is focused around embracing community, self-awareness and personal growth and Daughter’s is a perfect example of that. Daughters provides digital and physical platforms for independent artists of a wide variety of disciplines, ages and backgrounds in unique environments. They are trying to create a stronger voice and representation by women in the music industry everywhere. An ESPY Award is an accolade currently presented by the American broadcast television network ABC, and previously ESPN, to recognize individual and team athletic achievement and other sports-related performance during the calendar year preceding a given annual ceremony. Swing by if you are in the area and join us in this beautiful Pasadena location. The owners are wonderful and the selection is fantastic. Women networking on purpose, with a purpose, expanding the circle of connections and collaborations in luxury, lifestyle and busisness. Founder Flo Vinger’s roots are in dance so sponsoring Art's Meme is a no brainer. This established blog focus’s on dance, film, music, theater, the visual arts, fashion and design. JOEY PANTS VING VODAK TASTING! A SIMPLE BAR TASTING & DJ SMASH! A Simple Bar - Coolest local hang with off the hook DJ's and special VING Cocktails and tasting. VING Vodka in prompt to tasting! Event though we were only there for the weekend and met Tristian the day before, it was a perfect match and we had so much fun meeting all the SF locals! IAM Global Music Presents the BOSS LADY BRUNCH: Honoring Women In Music & Media Designed to create a safe space for women in entertainment to network, honor the Goddess within, and discuss tough topics like sexual harassment and unequal pay in the music and Entertainment industry. WSWA "TASTE OF THE INDUSTRY"
In Vegas April 30th - May 3rd? Come join VING in our tasting!